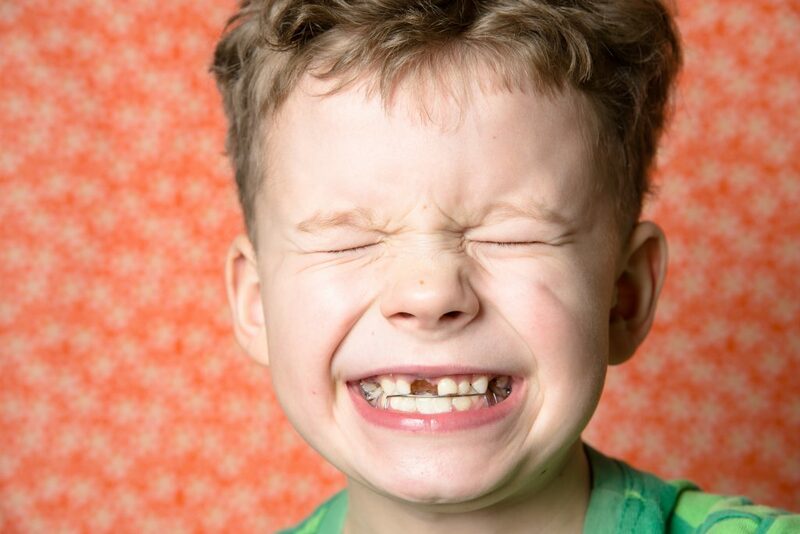 When children are small, they rely entirely on adults to help them care for their teeth. However, this doesn’t mean that they can’t start learning why oral health is important and how to take responsibility for their own. Brushing and flossing a small child’s teeth can be very challenging, but the work pays off as they learn to take responsibility for themselves. Here are some tips to help you teach your child about good oral hygiene and health. Begin brushing your child’s teeth as soon as they appear. For babies, teeth can be cleaned with a wet washcloth. Make this practice part of your morning and evening routines. Once your toddler has more teeth, you can begin using a pea-sized amount of toothpaste on a toddler toothbrush. Choose toothbrushes with soft bristles and brush the teeth in circular motions to remove any plaque or food particles from the gums. Brush for at least two minutes each time. For flossing, many parents find floss picks easier to use in children’s mouths rather than trying to hold a string of floss. Be sure to move slowly and gently since your child’s gums can be sensitive, and pain will make them less likely to cooperate. While flossing is not as essential as brushing, it is important to be consistent in your routine so that children are familiar with all aspects of oral health. Your child’s diet is a big determiner in his or her oral health. Sugary, sticky, and acidic foods and drinks wear down tooth enamel and accelerate decay. Sugary food and drinks also encourage bacterial growth which causes damage to the teeth and gums. Fruit juice, soda, candy, and other treats directly contribute to dental problems. In other words, the occasional treat is fine, but always be sure to brush your child’s teeth after a sugary treat and try not to make harmful foods part of your regular diet. Most dentists recommend that children first visit a dental office before their first birthday. Early visits are opportunities for children to acclimate to the dentist’s office. Additionally, these visits give the dentist an opportunity to check your child’s teeth and gums. Many children don’t see a dentist until they are older. While dentists like to monitor young children’s oral health from early on, it is especially important to take your child for an exam and cleaning before they begin losing baby teeth. Even before they are ready to independently care for their own teeth, your child can be involved in an oral hygiene routine. Give your child the responsibility of rinsing the toothbrush, putting it away, and turning off the water. The more involved they feel in the process, the more likely they are to consider it important. Children are not ready to take responsibility for their own oral health until several years into elementary school. Every parent must decide when their own child is ready, but most children will be ready to brush their teeth around age 8. Even then, parents should supervise and ensure that children are brushing every surface of their teeth. Flossing is equally important to oversee. Encourage your child to think of removing food from around the gum line since this will direct their efforts to the areas it is most needed. It may help your child if you set a timer for two minutes while they brush so they know how long to brush. If you choose an electric toothbrush, many of them have timers built in. Oral health is linked to your body’s overall health in many ways. By teaching your child to take care of their teeth and gums, you are equipping them for a healthy life. If you are looking for childcare that will assist you in teaching these and other life skills, consider Legacy Academy Frisco. Call or visit today for more information.